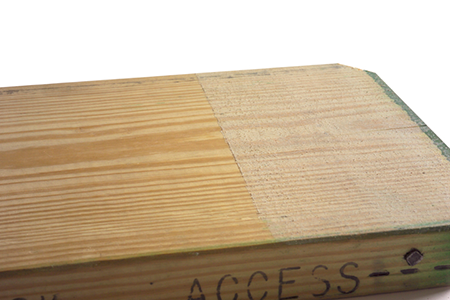 All wood scaffold plank starts to deteriorate the moment it is placed into service. Water, dirt, mud, chemicals, and improper storage are all facts of life which damage scaffold plank. RHINO SKIN SEALANT adds tremendous protection and safety to scaffold work sites by helping to keep planking in OSHA compliant condition and saving the contractor money by the longevity of his product. RHINO SKIN is an environmentally friendly epoxy based sealant especially formulated to protect scaffold planking from weather and chemicals. High volume plank users, E&D companies, rental yards, contractors, and resellers all benefit with the extra safety and longevity which equates to more cash saved by not having to replace decaying boards. The translucent coating can be spread with an added aggregate for great traction and also remain OSHA & ANSI compliant. 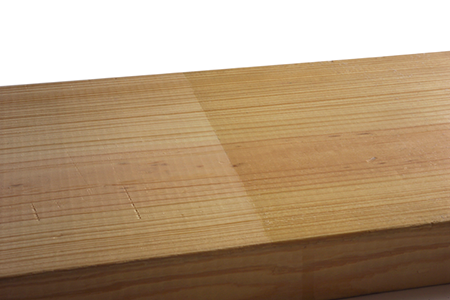 The RHINO SEALANT helps keep the moisture stable inside the plank no matter if environment is too wet or too dry.